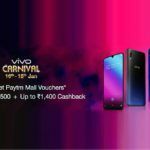 Vivo is now planning to launch another budget smartphone in the Indian market. Vivo Y91i is basically a rebranded version of already launched Vivo Y93. 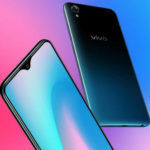 Vivo recently launched a budget smartphone under its popular Y-series family dubbed Vivo Y93 in China. The Y93 is the company’s first smartphone to run on Qualcomm Snapdragon 439 chipset. 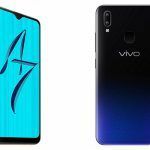 If a leak is to be believed, it seems like Vivo is now planning to launch this device globally with a moniker Vivo Y91i. The smartphone has now surfaced online revealing all of its specifications. When it comes to design and specifications, Vivo Y91i is quite identical to the already launched Vivo Y93. The only difference between them is the small memory configuration in the international version i.e. Vivo Y91i. The device has a 3D micro-arc design at the rear to make it more ergonomic. Even at the budget price point, the device looks very premium thanks to the gradient colour options. 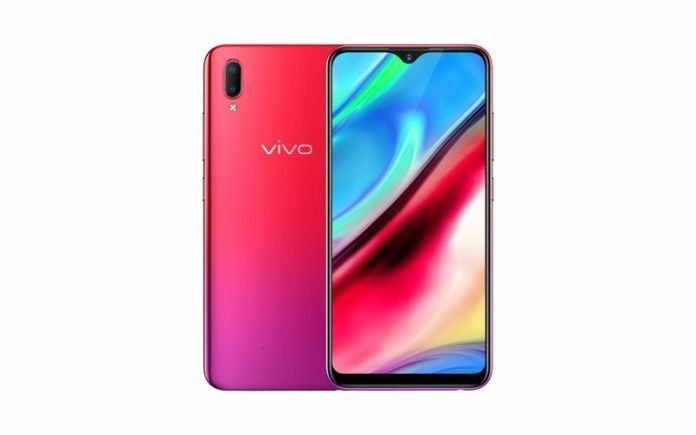 The rebranded version of Vivo Y93 comes with a 6.2-inch LCD display having a resolution of 720 x 1520 pixels and an aspect ratio of 19:9. 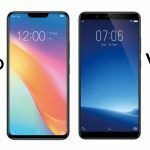 There’s a teardrop notch on the front with the minimum side bezels giving it a screen-to-body-ratio of 82.4 percent. The device is powered by an octa-core Qualcomm Snapdragon 439 chipset coupled with Adreno 505. In terms of optics, there is a dual vertical camera setup at the back having a 13MP primary sensor and a 2MP secondary sensor. Unlike rear, there is a single 8MP selfie shooter housed inside the notch. The device might also arrive with the company’s AI related camera features such as AI beautification, AI portrait and AR stickers. 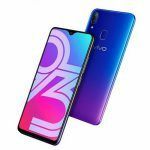 Vivo Y93 originally comes with 4GB of RAM and 64GB of onboard memory. Its global variant, on the other hand, features a small 2GB RAM and a 16GB internal memory. The onboard memory will most likely be expandable via MicroSD. All of this runs on a massive 4030mAh battery packed inside and on Android 8.1 Oreo-based FunTouch OS. Unfortunately, the device does not come with a fast charging support as well as a fingerprint sensor. Although it still comes with a Face Wake option which you can use to quickly unlock your smartphone. Vivo’s Face Wake facial recognition feature is said to detect 1,024 unique features of the user’s face for higher security. 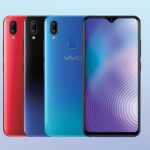 Vivo Y91i comes in two different colour variants – Starlight Black and Ocean Blue. The China-specific Y93, on the other hand, comes in Starlight Black and Zixia Red. In terms of pricing, the device falls under the budget segment with a price tag of 1042 Yuan (roughly INR 10621). Vivo Y93, on the other hand, is priced at 1500 Yuan (roughly INR 15,000). The huge price difference between both the variant is expected owing to the change in memory configurations. We’re speculating the smartphone to hit the Indian shores in the coming weeks. If it does arrive with the leaked pricing, the device might prove to be a successful product among consumer in the offline market. In another note, Vivo today launched a new mid-range smartphone dubbed Vivo Y95 in the Indian market. The device looks similar to recently launched V9 Pro and has a tiny waterdrop notch on the front. It comes with a price tag of INR 16,9990.